I feel as if I’ve been travelling around the galaxy and back…but IAM back from enjoying an intense and wonderful experience with fellow MasterCreators who chose to commit to and celebrate their new role as MasterCreator… on my first five week MasterCreator Class, here on the Costa del Sol. I will be holding this class again during November for others in Southern Spain to quantum leap into their freedom and experience an Enlightened life. 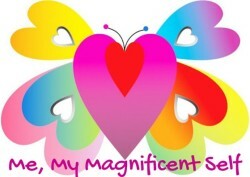 You can secure your place by registering on my website… http://memymagnificentself.com/online-class/. IAM also finalising the MasterCreator Class to go online this summer 2016 for all my friends around the world to have the chance to participate if your heart resonates with me and my writing. My introduction statement… Imagine knowing what your grandest dream is.. is a question all MasterCreators allow themselves to know. In the meantime my first book Your Magnificent Self…A Journey to Freedom is available to purchase from all major online bookstores that shares my true love story; the coming together of my Human and Divine self, awakening to my true potential and celebrating a life of freedom. Our MasterCreator Class was such a great experience for all of us, not only meeting new friends and sharing precious supporting time with each other but experiencing consciousness expanding within the group and tapping into new potential. ‘Excellent course to find yourself!!! Be ready to change completely’! Reading these lovely comments makes me smile so much and it warms my heart to know my passion attracted such magnificent MasterCreators, who join me now shining their truth and magnificence out into the world. Thank you all so much for putting your trust in me. Life is surely flowing fast now and the energy radiates strong upon Earth and all Humankind. Have you felt as if there is no-time anymore and you are yo-yo-ed back and forth into dual opposites? From one day and even from one moment to the next, my life seems to instantly change… requiring me to focus more and more on how IAM feeling and what IAM creating. It feels necessary to ALLOW myself to be more flexible, present in All that IAM and focus on what makes me feel alive and excited. Many of us here in Southern Spain feel its going to be a hot summer, so lots of water (with natural electrolytes), plenty quiet Me-Time to keep your Body Consciousness (Body, Mind & Spirit) balanced and make sure you put yourself first in all areas of life, this means knowing your boundaries so that you don’t compromise your own integrity. IAM going to finalise this week Part II of A Selection of True Awakening Experiences and publish it for my next blog post on Monday. Sorry for the delay, but lots has been happening and I have to set myself and my family as a priority to be able to get through these intense times. In the meantime IAM republishing Part I of A Selection of True Awakening Experiences for you to enjoy reading about unique awakening experiences from WordPress friends. Enjoy life… Imagine you are living your dream life now.